Free shipping on orders $50 and up! Radiate a cool atomic ranch vibe with this mid-century modern bench. Perfect for a welcoming front entry or a window sitting area. Chic, fashion forward design with flare legs and a button tufted top add retro cool to any room, while the padded bench top provides a plush spot to rest. 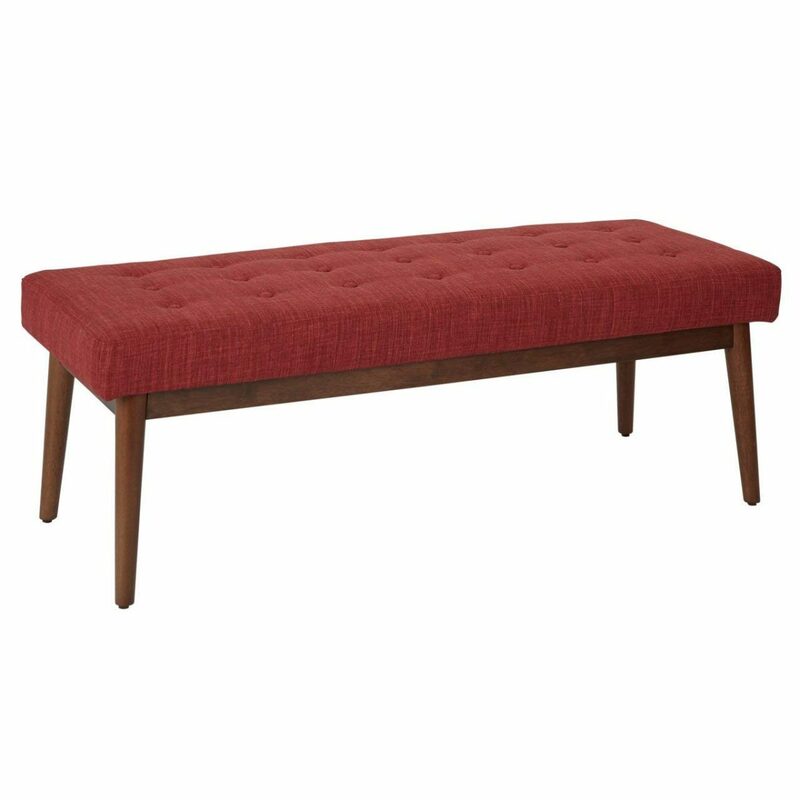 Get the mid-century style you crave with the Avenue Six West Park bench.